Here are two manis inspired by j crew looks I loved. 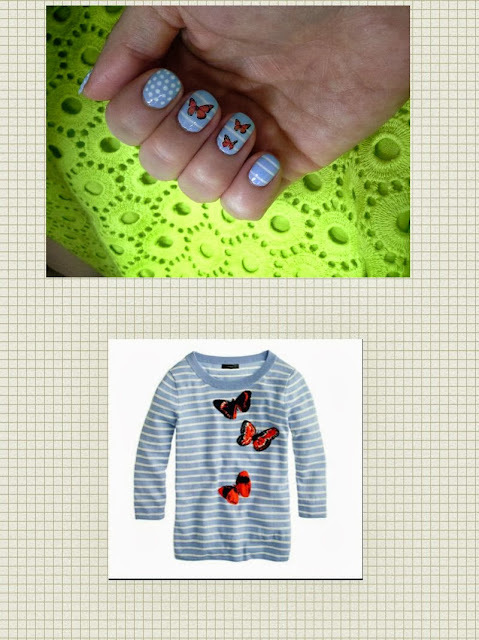 The light blue with white stripes and butterfly decals is inspired by the monarch tippi sweater. 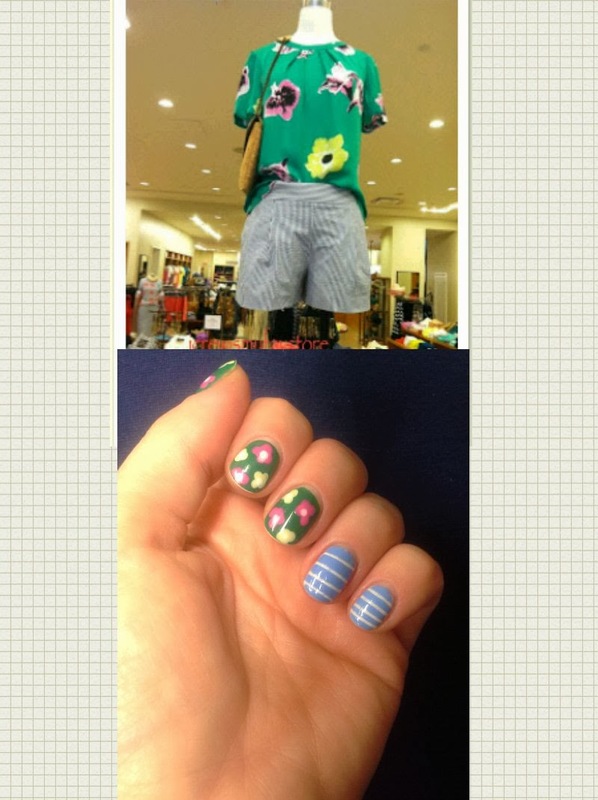 The other is inspired by the punk floral top paired with seersucker shorts. I'm not usually into nail art designs, but I was pleased with how these turned out. I got the butterfly and punk floral bug out of my system, and it was much cheaper than buying the real thing!